Looks can always be deceiving when you view something from one angle only – sometimes you never know what to expect. It is quite clear now that texting has become a major part of the landscape of mobile communication. 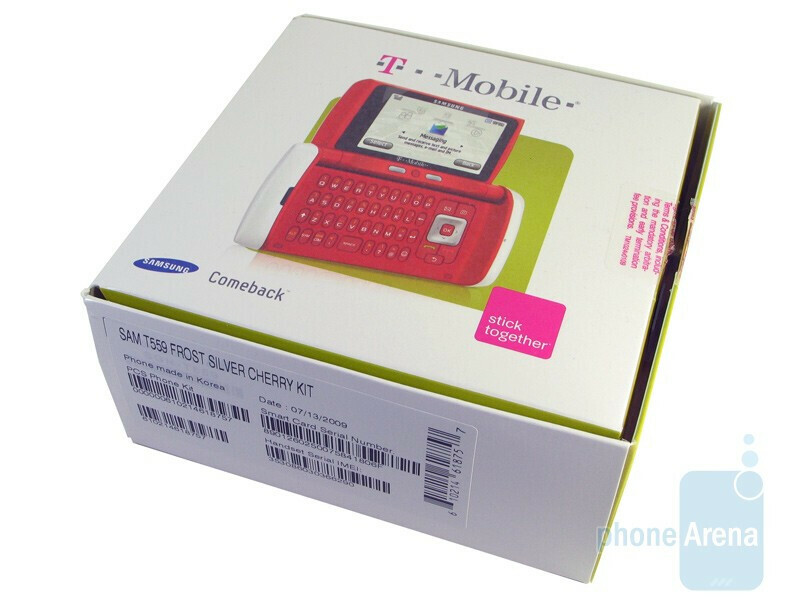 Always trying to keep it fresh, Samsung has a decent mix of messaging oriented devices to offer for T-Mobile subscribers. The Samsung Comeback T559 utilizes an interesting form-factor to make it transform from one device to another. Aiming to be a suitable text messaging phone for teens, we hope that the Comeback may be interesting enough to keep users wider awake and alert. 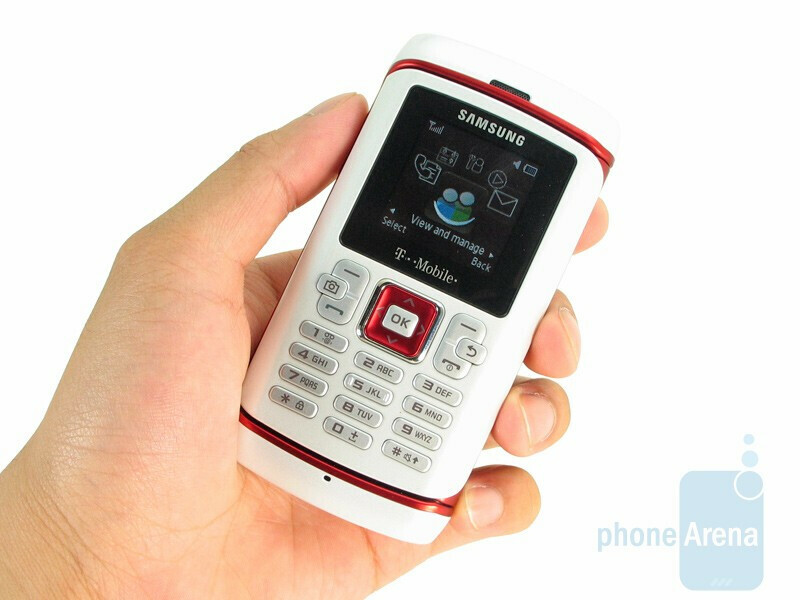 From afar, one would think that the Samsung Comeback T559 might be a hefty looking candybar handset. 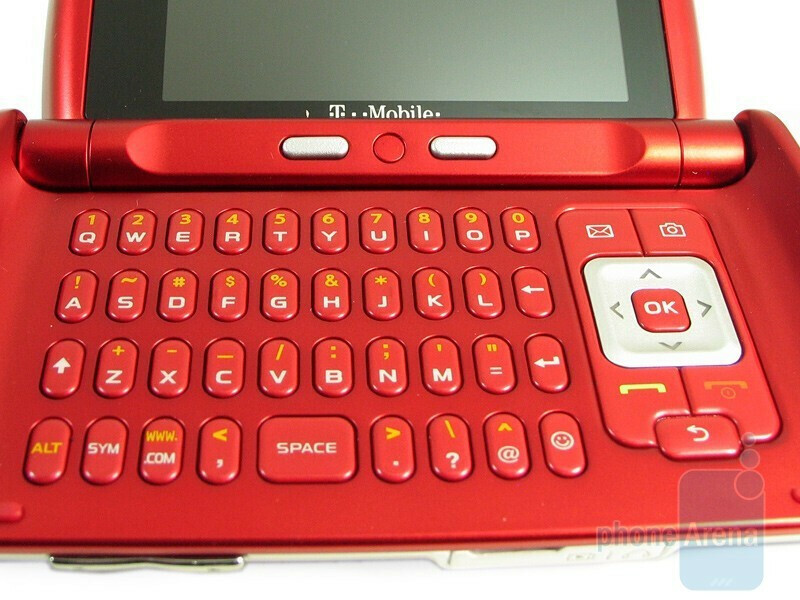 In fact, it uses a clamshell design to secretly hide away its QWERTY keyboard. There's no doubt that it doesn't have a modern look to it when compared to some of the other QWERTY devices Samsung has produced. Despite the toyish feeling plastic material used for the casing, it does feel remarkably well built all-around. We're sure that this can withstand most of the normal wear and tear users tend to dish out. For a clamshell device, it's quite bulky and thicker (0.73”) than other comparable handsets. Additionally, its large dimensions for its class are accompanied with a weight (4.6 oz) that's fit for its looks. For those who prefer a retro design, this will definitely be in your class. You can compare the Samsung Comeback T559 with many other phones using our Size Visualization Tool. The 1” external PMOLED screen has that Tron-like look that makes it stand out when the black theme is selected, but it's limited to what it can display (such as photos). 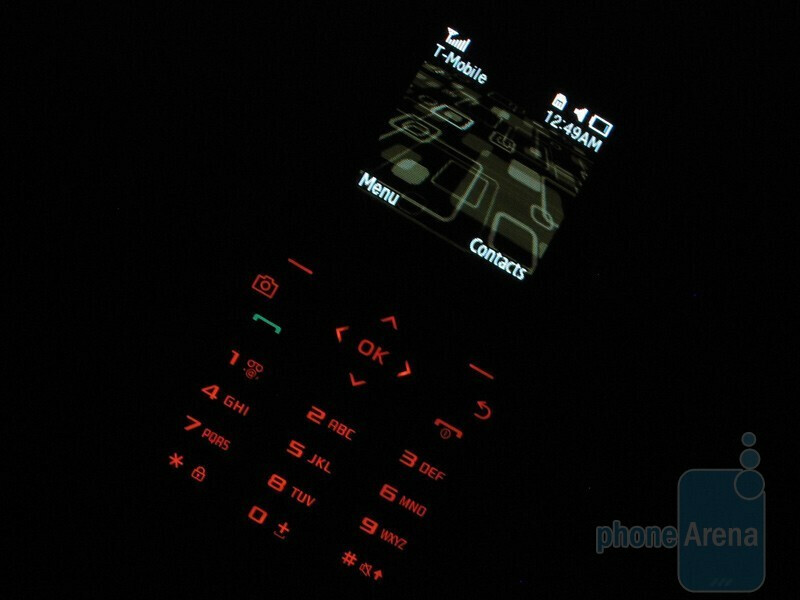 On the other hand, the internal 2.7” LCD screen is a sight to behold – one of the areas it managed to impress us. It has a resolution of 240x400 pixels and 262k colors. Images are detailed, filled with colors, and bright enough to make it an enjoyable experience anyone can expect. You'll have some issues with visibility when you attempt to use it in direct sunlight. Both screens become dim and require you to shield it so you can see what's on screen. 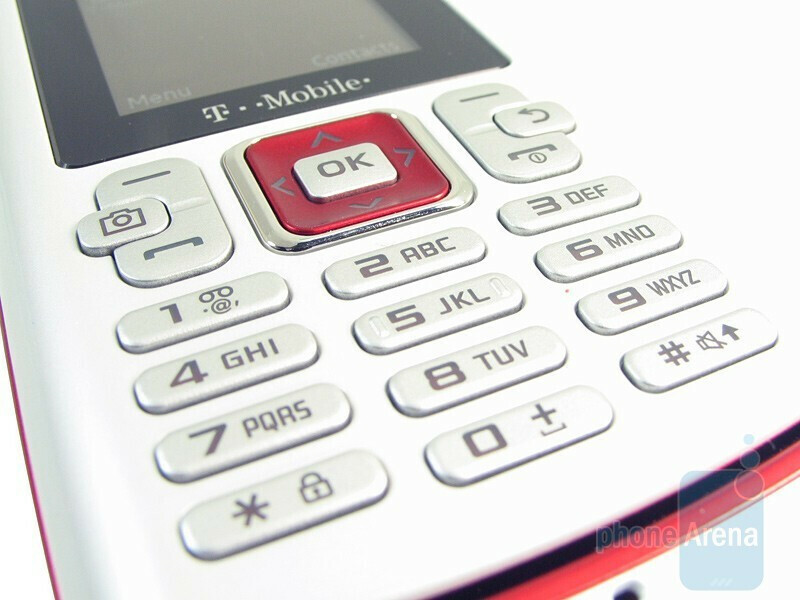 The buttons used for the keypad on the front of the phone are slightly raised, decent-sized, and have a tactile feel to them. The square shaped navigational pad is balanced and we were able to move around the menus without any mispresses. Other than the usual send and end keys, the only other dedicated ones are the camera and back buttons. They have a light red backlighting which doesn't make for a good contrast – making it difficult to see with the white plastic. The volume rocker is appropriately found on the left edge with the proprietary charging port next to it. 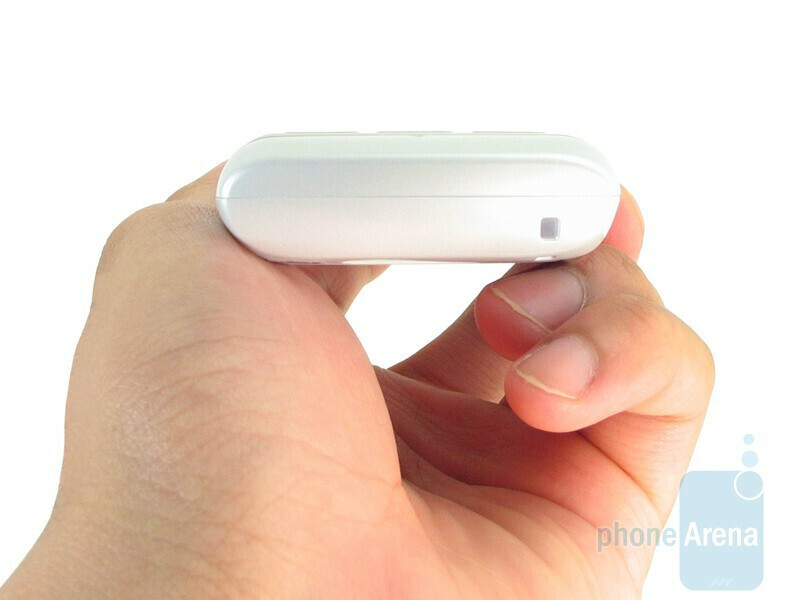 There's a 2-megapixel camera and speakerphone on the back of the device – no flash or self-portrait mirror to be found. 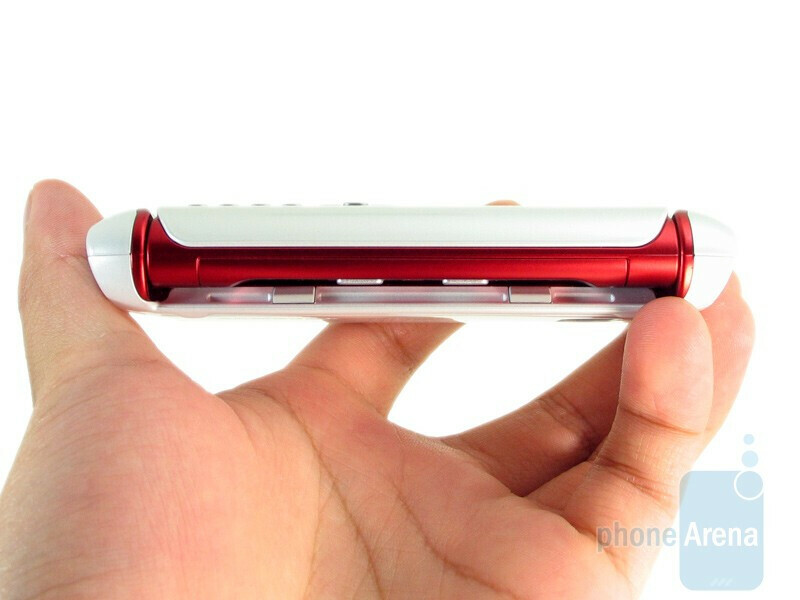 Sliding off the plastic rear cover will reveal the battery, which needs to be removed in order to reach the SIM and microSD card slots. 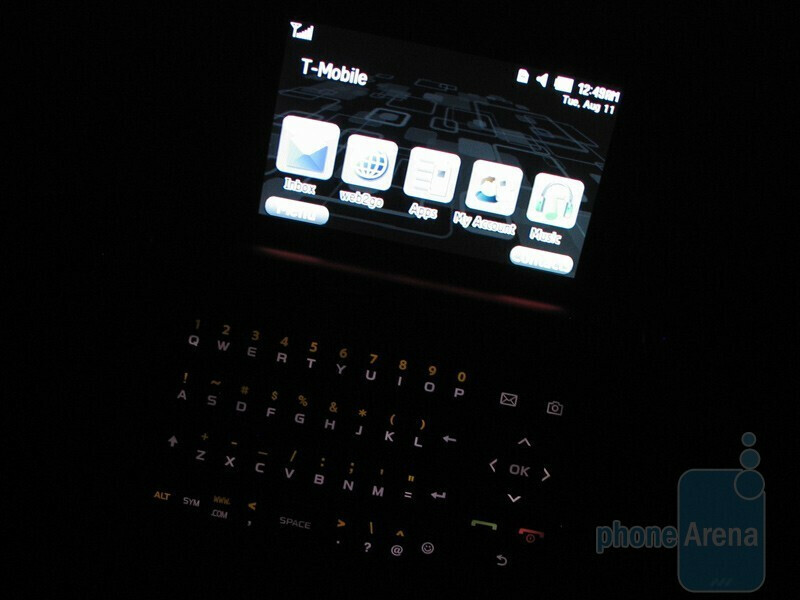 Opening up the device from its side will give you access to the four row QWERTY keyboard. It's size, feel, and style is somewhat reminiscent of the one used in the Samsung Alias. The oval shaped buttons are tiny and equally spaced from one another, but still feel cramped as you begin typing. They do not have as good of a tactile feel than the ones found on the keypad – it feels stiff when pressed. Individuals with larger fingers will have a difficult time feeling out each key from one another. There is also a d-pad with some dedicated buttons (camera, messaging, send/end, and back) on the right side. This phone looks too ugly and its too thick for my taste. I played around with this phone at the mall today, and the buttons inside the phone are wayyy to small and im a female i have small fingers, what the heck is up samsung?!! This phone's keys are really not that much of an inconvenience. I'm a very tall man, and I have very large hands, and large fingers, but the keys have never given me any trouble. It's an excellent phone, and I recommend it to anybody. The only con I can find is the way the battery pops right out every time the phone falls.